Make parents happy, and encourage customers to return to your business, by adding the courtesy of a baby changing table to restrooms in your family restaurant, buffet, banquet facility, or fast food establishment. With sturdy, space-saving, and sanitary options available, we make it easy to find the right size and style diaper changing station for your business! 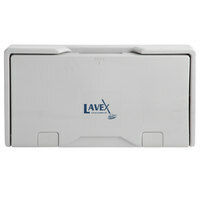 We even offer some ADA compliant models, so any customer is able to change their baby's diaper. 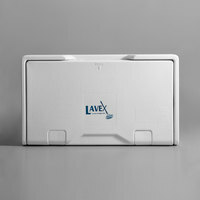 Also make sure to check out other great items from Lavex Janitorial, Continental, Gamco, Rubbermaid and Koala Kare Products. Though often overlooked and taken for granted, the convenience of a baby changing station in public restrooms is critical for many parents enjoying a meal out with family. Most baby changing stations fit snugly against the wall to leave as little a footprint as possible. We offer both vertical and horizontal baby changing tables depending on the amount of space you have to work with. Whether you’re remodeling a bathroom, building a new restaurant from scratch, or have had complaints and have decided to add a diaper changing station recently, we have the sizes and styles you need to suit your customer’s needs. Choose from vertical or horizontal models, ADA compliant designs, and stations with child safety seats to suit your customers' needs. Always keep a full stock of changing station table liners on hand, and be sure to check out other child-friendly items like these restaurant high chairs and booster seats! 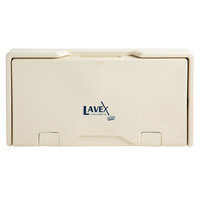 If you're wondering where to buy lavex janitorial baby changing tables and diaper changing stations, we have a large selection of lavex janitorial baby changing tables and diaper changing stations for sale at the lowest prices.